Heat sheets are out for the Apex Lions' Relays this Saturday hosted by Apex High School at their temporary home of Green Level High School! NCRunners will be on site with photos, and will be broadcasting the event LIVE! To ensure you're signed up to watch the event you can sign up to upgrade your MileSplit account to MileSplit Pro here! 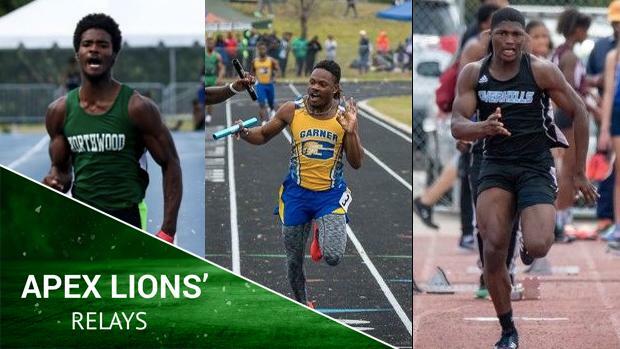 The Boys Premier 100m Dash looks to be the main event with three of the states best sprinters in RJ Terry (Garner), Isai'as Robinson (Overhills), Cameron Council (Northwood) and Preston Pierce (Middle Creek).